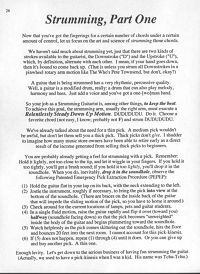 For the guitarist, it all begins here. 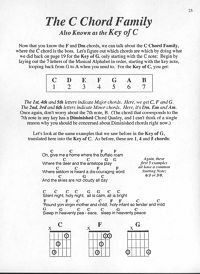 This is where you’ll learn to finger the most common simple chords and to switch back and forth between them in a timely manner. 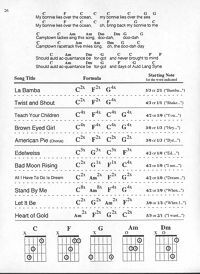 Along the way, you'll see which chords group together in different keys according to the great and powerful Circle of Fifths. 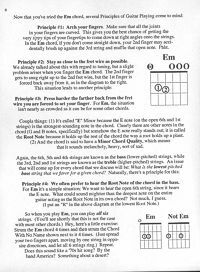 After getting the left hand (fretting hand) under control, we turn to the right hand to explore the easiest and most common strumming and fingerpicking patterns. 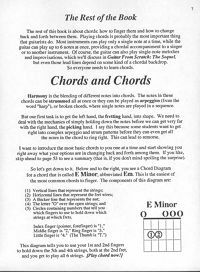 This book is all about CHORDS: Major, minor and seventh chords, jazz chords, anchor chords, power chords and barre chords. 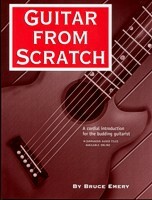 Even if you’ve been playing for a while, you might want to check out this book. 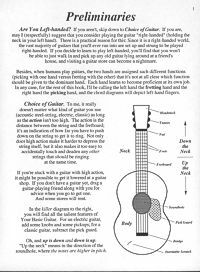 I’ve heard from several readers that Guitar From Scratch helped fill in certain gaps in their knowledge that they didn’t know existed.